Fraulein Schoen-René left last evening for New York to sail next week on the Friedrich der Grosse for Europe. She will go to London to be the guest of Madam Melba, and where she will also call on Manuel García. The famous teacher will soon celebrate his 102 birthday, and Fraulien Schoen-René makes an annual visit to his house her rule. From London she will go to Paris to be present at the birthday celebration of Madame Viardot García, her former teacher, and also meet Scott Woolworth and introduce him to Madame García. A trip to the Rhine, where members of her family live, will be followed by a visit to Bayreuth to attend the performance of "Der Ring der Nibelung," "Tristan und Isolde," and "Parsifal," a visit to Salzburg for the "Mozart" festival, which will be conducted by Felix Motler and Lilli Lehmann. 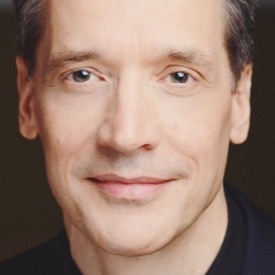 George Walker in Minneapolis, one of the pupils of Fraulein Schoen-René, is to make his debut in the Royal Opera house, Berlin, Sept 8, in the role Marcell in "The Huguenots" and Fraulein will be present at the performance, as she will be visiting her sisters at that time. Dr. Robert Bachman of the United States Navy, who is on recruiting duty in Minneapolis, has taken Fraulein Schoen-René's house on Grove place for four months. He will entertain his sister, Miss Bachman and a friend from Pittsburgh for some time. —The Minneapolis Journal, Sunday, July 1, 1906: 4. Once, in Garcia's studio, I was given a most instructive lesson in the diagnosing of voices. He asked me to listen with him to two singers who had come from America. They were under the impression that they had studied with a teacher who was a representative of the Garcia technique, but in the singing that followed there was no trace of it. Manuel Garcia then asked them to sing some exercises and vocalizations, which seemed to them a strange request. It was a most amazingly amateurish exemplification of tone production. When asked to project the pure Italian vowels, they could not do it. One a baritone had a very throaty voice, and the other a tenor, sang with a nasal quality. The climax came when the poor fellows asked whether they might take lessons from him, during the few weeks of their stay in London. "No, no," he exclaimed emphatically, "I do not want to commit a sin!" 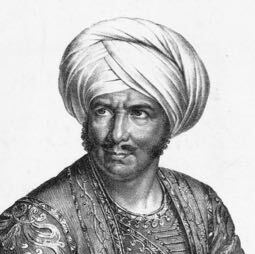 Then the tenor asked in a disagreeable way, "That means dismissed?" "Yes," said Garcia, soberly, "and with the advice to give up the idea of a professional career." The two left not very encouraged. In silence I looked at the Maestro and observed his speechless dismay. Tears of sympathy filled my eyes. Glancing up at rne, he said, "Yes, my child, that is the only answer tears." Fortunately, his sadness was changed to joy by a knock at the door. Plançon, thinking the Maestro was alone when he saw the young men come out of the studio, entered and greeted him with a jolly and smiling countenance. Garcia was delighted. "Sing me," he begged, "a few of your beautiful tones, so that may be sure that correct singing still exists." Seated at the piano, he sang scores and scales. Manuel Garcia's expression lost its discouraged sadness and became radiant, as he exclaimed, "That is singing through the mask and not through the nose! The nose is the waste-basket of the brain but not considered for resonance." (Mask, in musical language, is used to express all the resonance cavities of the face, as opposed to the cavities of the nose only.) Suddenly turning to me, he grumbled, "Why do they sing and speak with that nasal quality in America?" I, who also detest the ugly nasal speaking voice and had fought against it so long, answered, "Master, it comes from ignorance from not knowing that mask and nose are two separate resonances." "Yes," he said, "I think you are right. God may forgive them, but I cannot." Garcia sometimes had a very humorous way of expressing himself. I remember his once saying, "A basso with a low C and a tenor with a high C, both are socially impossible!" On his hundredth birthday, March 17, 1905, Manuel Garcia was in good health and high spirits. The anniversary was made an important occasion by admirers of many different nationalities. 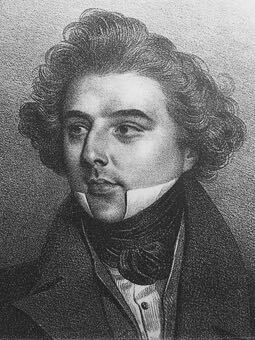 He had already, by order of the King of Sweden, been created "Chevalier de L'Ordre de Mérite," in recognition of his services to Jenny Lind and other great Swedish artists, and been made an honorary M.D. of the University of Konigsberg, and "correspondent" of the University of Stockholm. 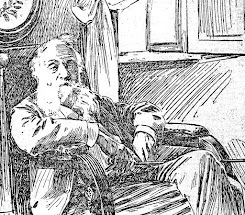 The grand old man began his activities on that day by driving to Buckingham Palace where Edward VII decorated him with the Insignia of a Commander of the Royal Victorian Order. Leaving the Palace, he drove to Hanover Square, where, at the Royal Medical and Chirurgical Society, more honors were conferred on him, both for his musical achievements and his medical research. There, also, by order of the Kong of Spain, he was invested with the Royal Order of Alphonse XII. The Prussian Minister for Public Instruction, on behalf of Emperor Wilhelm II, presented him with the Great Gold Medal for Science. Addresses followed by representatives of the Royal Society, the Royal Academy of Music, and universities and medical societies of many countries. After this, Garcia was presented with his portrait by Sargent, commissioned by his pupils, friends, and numerous admirers. At the close of the ceremonies, he made a speech of thanks, and then the entire assemblage filed past to do him homage. With all his particular friends, the old gentleman shook hands. That same evening Garcia attended a banquet in his honor at the Hotel Cecil, where he heard and responded to more speeches. Two days later there was a private celebration, at which he received a large and elaborate birthday cake. Mine. Viardot and Mme. Marchesi were present, both at that time about eighty years of age. Garcia humorously chided them, saying he was astonished that they had not prepared a program of songs and duets in his honor. Neither Garcia's admirers, so anxious to pay tribute to him, nor the sovereigns who had issued the royal commands for him to appear at these exhausting ceremonies, seemed to have taken into consideration the possibility of overtiring the old man, and Garcia, who considered himself indefatigable, would never have protested. His exertions wearied him, however, more than he realized, for when I wrote him at that time, asking permission to come again to him for advice the following summer, my letter was answered by his wife (the wife of his second marriage), who told me that he was ill with influenza brought on by overtaxing himself on his birthday. She said that his doctors advised him to retire, but that he was sure he would recover and again resume his professional life at one hundred years of age! In the year of 1906, I received another letter from Mme. Garcia, telling me that her husband had regained his health and that I should come to see him. I made my preparations to go to London. That same night I had a strange premonition. I dreamed that upon entering his house I saw Manuel Garcia lying on the sofa in the little reception room which I so well remembered. Before him stood Brahms and Beethoven, looking down upon his body, which was dwindling away to a mere nothing. 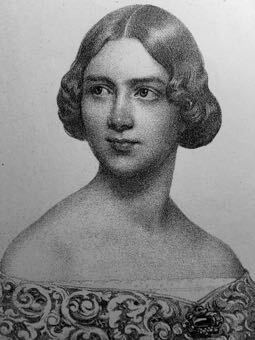 With a shock I realized that my dream had become a reality, and I embarked for Paris to see Pauline Viardot, his sister. —Anna E. Schoen-René, America's Musical Inheritance: Memories and Reminiscences (G. P. Putnam's Sons, New York) 1941: 109-112. 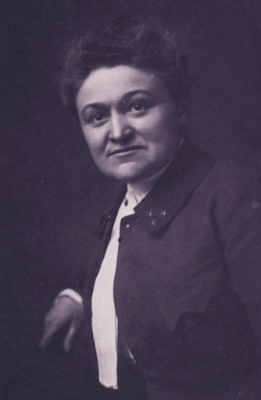 Anna E. Schoen-René specialized in the art of teaching men with Manuel García from 1901-1905, having been a student of his sister Pauline Viardot-García beginning in 1889. 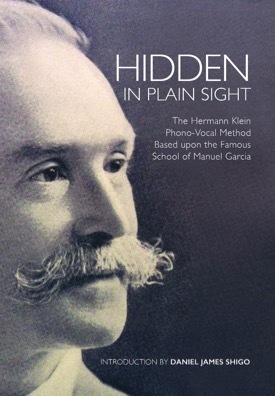 Additional information regarding "singing in the mask" and the teachings of the Gracias can be found in Hidden in Plain Sight: The Hermann Klein Phono-Vocal Method Based upon the Famous School of Manuel García (2013). Note: Thanks to a sharp-eyed reader, it would seem that the "Felix Motler" in the first article was probably "Felix Mottl" —reporters of this period not always getting things right. As it is, I had already changed the reporter's spelling of "Lehman" to its correct form "Lehmann" when making this post. Was the original information relayed on the "new" telephone or jotted down without checking? It happens more than you think.